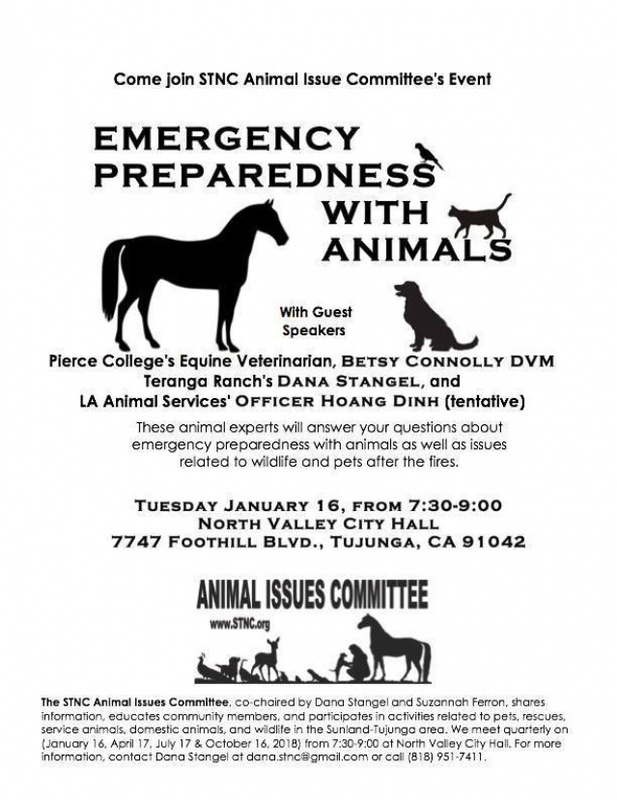 Come learn more about being prepared for a disaster with animals. We are so happy to welcome the veterinarian in charge of the equine situation at Pierce, as well as Officer Dinh from LA Animal Services. After, we'll talk about local emergency planning, and maybe even draft a plan with your input. Please join us!